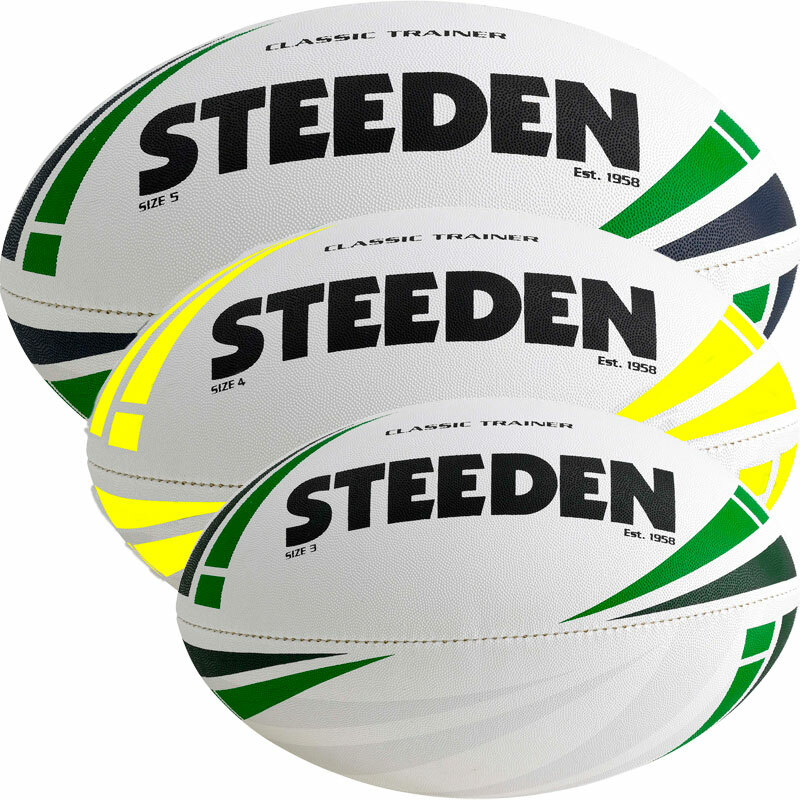 Steeden Classic Trainer Rugby Ball, excellent value, and outstanding training ball. 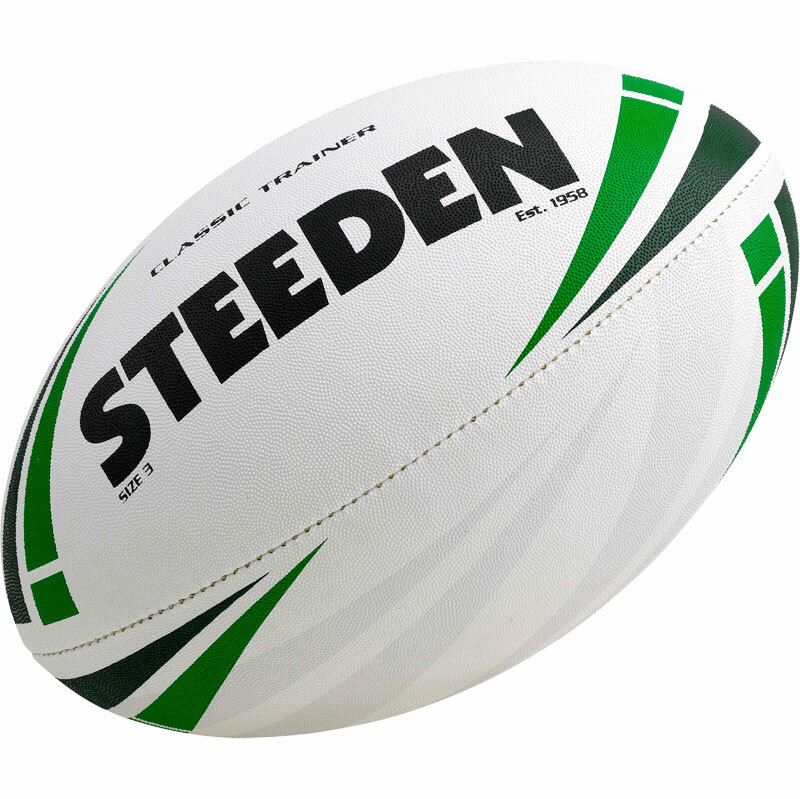 Latex bladder for high rebound qualities. 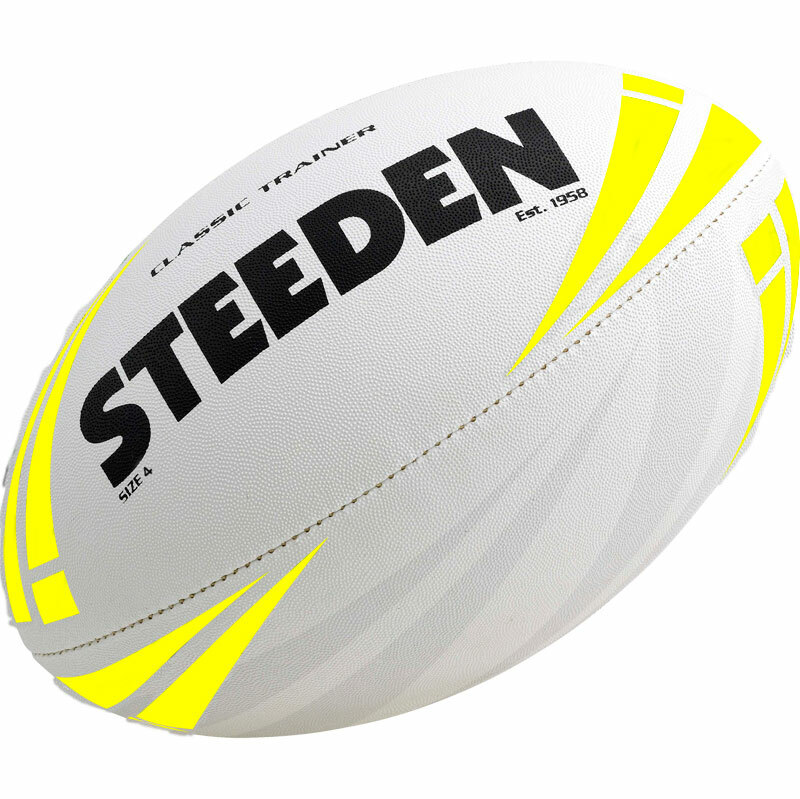 Other makes have always been fine for training but the superior grip in both wet and dry conditions makes this a very good buy.